"The consequences of the effort of endothelial cells to clear myelin debris is often severe, contributing to post-traumatic degeneration of the spinal cord and to the functional disabilities often associated with spinal cord injuries," said Ren, whose team conducted the study over a period of five years. Myelin debris at the injury site comes from a shattering of the insulation protecting axons—the central nervous system's primary transmission lines. "Uncontrolled inflammation is one of the most important pathological events in the secondary injury cascade," Ren said. "It persists for a long period of time following a spinal cord injury. We know that myelin debris acts as an inflammatory stimulus that exacerbates secondary injury by activating other cells in the injured spinal cord that are actively involved in inflammatory responses during disease progression. "Clearing myelin debris generated at the time of injury is critical in controlling the inflammatory response and to ensuring neural regeneration." Ren's lab demonstrated that debris can be engulfed by blood vessels and endothelial cells in the injured spinal cord. The problem is that once endothelial cells engulf the debris, they are enabled to promote inflammation and the formation of abnormal blood vessels. Those outcomes would inhibit the chances of a full recovery. 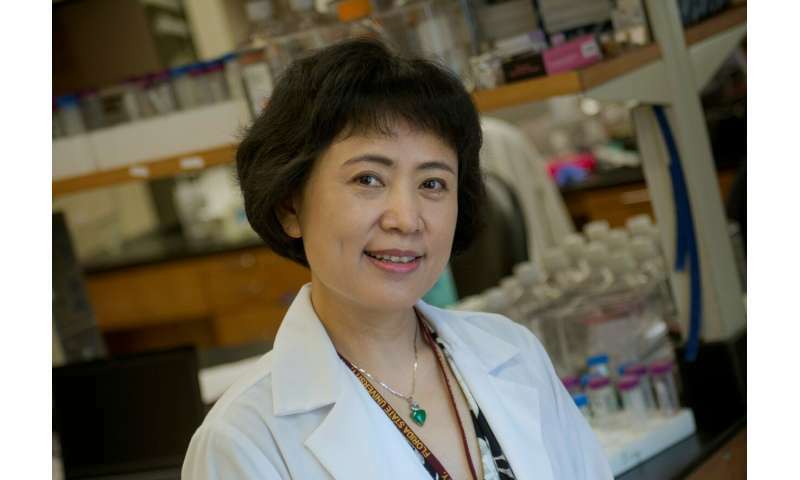 "Unexpectedly, we found that the process of engulfing debris confers upon endothelial cells the ability to stimulate production of fibrotic components suggesting that these cells have a function in the formation of fibrotic scars," Ren said. "Specifically, they facilitate the arrival of macrophages derived from bone marrow that ultimately promote chronic inflammation."